We want to show you that dentistry can be a relaxing experience and aim to provide personalised advice and care to help you improve your oral health. 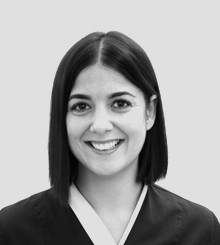 The entire team is at your service throughout your journey with us to provide information, explanations and to help you with the choices you may have to make to achieve a healthy smile. I qualified as a dental nurse in 2002 and have worked both as a nurse in practice as well as a nursing tutor for a training college. I love nursing as we are constantly improving our skills and knowledge. 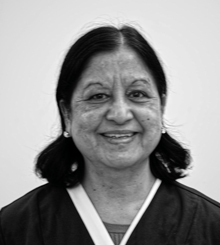 I am a cheerful person who loves meeting new people and have worked at Naidu & Naidu for a number of years. I love the fact that it's a family run business and is a happy environment for all of us to work, which in turn helps us to provide our patients with a first class service. In my spare time, I enjoy reading, walking and spending time with my family. I have been working at Naidu & Naidu for over 10 years. 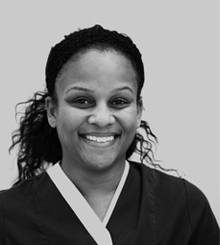 I enjoy working with all the dentists as this has helped me gain lots of experience in the different fields of dental specialty. I am particularly interested in helping people look after and improve their oral health. The most enjoyable part of my job is meeting people from different walks of life. At work I try my best to put people at ease. My hobby is knitting and design and I am multi-lingual (English, Urdu, Russian, Punjabi, Armernian and others!) so that helps me discover different cultures. 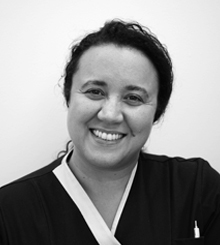 I've been a dental nurse at Naidu & Naidu since July 2014 and I am very glad to be part of the team as it is a very friendly and professional place. I decided to qualify as a dental nurse for the sake of a rewarding and professional career as well as one that encourages continuous learning and development. Naidu & Naidu is an excellent practice that has helped me with my studies and I always look forward to coming to work the next day. I am fluent in French but my English is intermediate so please bear with me! I joined this lovely team in the summer of 2014 and what a journey it has been! Having cared for the elderly for the past 14 years, I decided I would like a new challenge and pursue a career in dental nursing. I started as a trainee and initially felt like a fish out of water! But with the support and warm welcome from Naidu & Naidu, I soon settled in and felt like part of the family. I love being a dental nurse and it was the best decision I ever made! I have joined this lovely team in February 2018. I am trainee dental nurse at the moment. I am blessed to be part of this friendly team. They have helped me achieve all my knowledge and to become more confident in myself. All the dentists are very professional and I enjoy working with them. I am learning something new every day. I love working there and I like the team- it's like a second family!! Naidu & Naidu is an excellent practice for my studies. I am fluent in Romanian and Hungarian, my English is good but I still need to improve. In my spare time, I like to spend time with my wonderful family. See you there!